When you are modding GTA V, you may end up with tens to hundreds of mods installed. This can make it hard to find the configuration files, so you can disable specific mods. With GTA: Online, you will need to have all your mods disabled, or they will be deleted from your computer. The GTAV Mod Manager makes disabling all or just some of your mods simple. The main feature of GTAV Mod Manager is that your mods are stored in a folder outside of the GTAV directory. This is very important since GTA V will delete any programs and mods that are stored in the GTAV directory when you open GTA: Online. 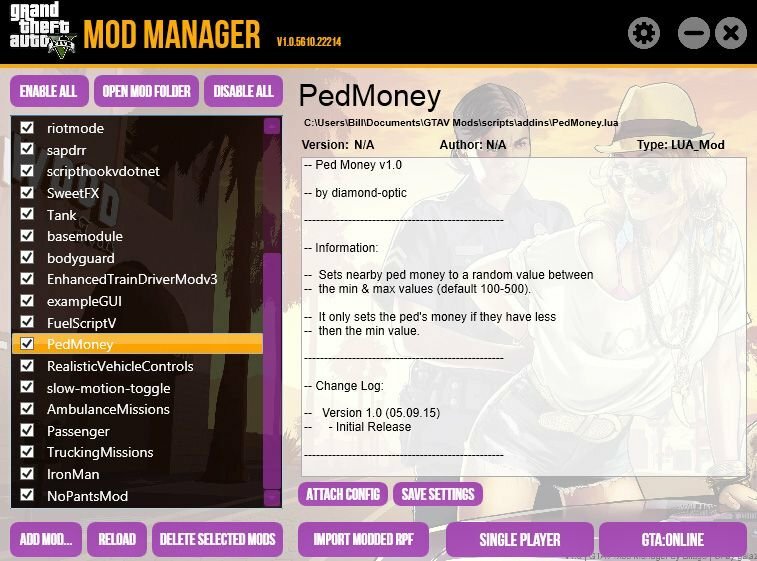 The GTA V Mod Manager PC allows you to customize the location of the mods. You can also easily access the configuration files easier because you can open the file in the mod manager. 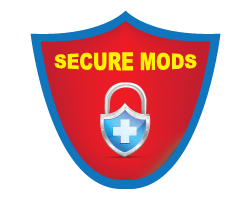 This mod also detects when you are going online and will disable the mods and the firewall. The GTA V Mod Manager also turns off the Social Club and blocks the internet when you have mods enabled. This is important since GTA: Online could block your account if you are using mods when you are playing online. There is also a built-in firewall that is created, which will block the GTA5.exe from accessing the internet when the mods are enabled. In the mod manager, you can easily enable and disable each individual mod or all of the mods that you have installed. 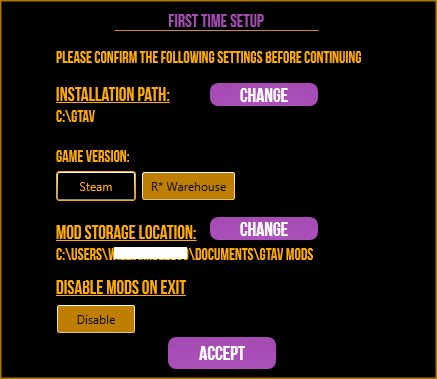 You can drag and drop the mod files into the GTA V Mod Manager to quickly install the mods into your game. The uninstall process is also easier because the mod manager allows you to uninstall mods right in the program. Installed mods can also be automatically updated, and there are also update notifications on the desktop. 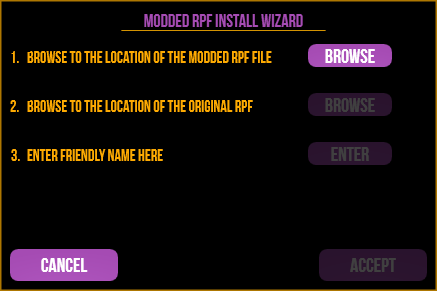 There are easy customizable settings in the mod manager that allow you to rename mods to make them easier to find. You can also sort your mods by name, date installed, and favorites. You can also have the mod manager remove the mods from the mod folder when GTA V is closed, which is configurable. Should You Install GTA V Mod Manager? GTA V Mod Manager is also needed to mod GTA V for any length of time, especially if you are planning to play GTA: Online. The GTA V Mod Manager PC makes enabling and disabling all of your mods super easy. Your mods are also stored in an external folder that is outside of the GTAV directory. Setting up the GTA V Mod is complex because you have to place individual files into different folders. However, once the mod manager is installed, the program is super easy to use. This makes test mods easier because you can enable and disable individual mods. This is a key, especially if you are running into errors when you are playing with mods because there are mods that cannot be run at the same time.